1. You will buy the same clothes over and over again. 2. You can’t stand seeing that pile of clothes any longer. 3. The weather is getting nice outside. There’s no question that I need to weed through my closet. I have clothes I’ve never worn and those I’ve not worn in over 10 years. I just got my room cleaned up of the clothes, next is to go through them all and get rid of some and organize them. I most certainly need to clean my closet out and organize it right now. I think I’ll do that this weekend! I clean my closet and dresser out every spring and fall. We have a limited space and it is important that I keep things in check! I can’t tell you the amount of times I have bought something new, cleaned my closet, and found I already had something similar! Great advice! You are a girl after my own heart. I love organization. I am currently downsizing from 3400 feet to 1300 feet. 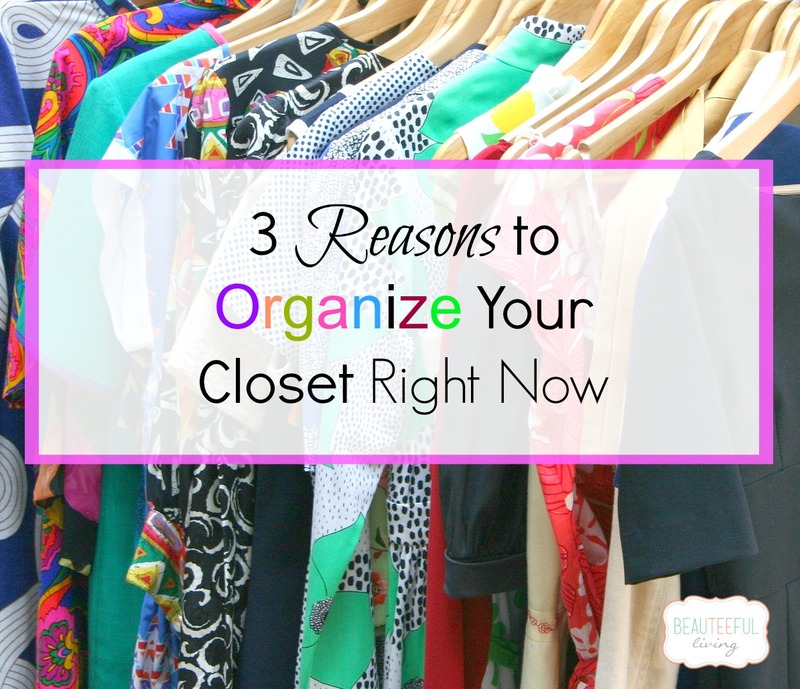 I have no worries about closets because I have always kept them organized. But furniture. That is another deal all together! Wow, best of luck with downsizing! I’m sure you’ll do great since you love organization. I bet you have a great system in place! Great tips! This is what I do: I only have a certain amount of hangars (there are a lot) and when I run out of hangars for the new clothes it’s time to go though everything and get rid of stuff. Also, if I haven’t worn it in the last year (other than dress up clothes) then I donate it. I have one Banana Republic dress BTW and guess what, it’s linen and it’s wrinkly!! How funny is that?? That’s so funny that you really have a BR linen dress!! Thanks for your comment. I love your tip by the way! Mine has become a big pile on the floor next to the dresser. I keep telling my hubby I will get to it. I guess right now is the perfect time to do it! Yes! Great post. I am in the middle of building a walk in closet- I shouldn’t say me but my hubby is..hahaha. My clothes are spread out everywhere and it’s driving me insane! Ooooh, I would love to have a walk-in closet in my home. That’s not happening unless we do an extension to our home. A girl could dream :). Oh I need to clean out my closet. It has gotten so bad that I have taken over half my son’s closet. 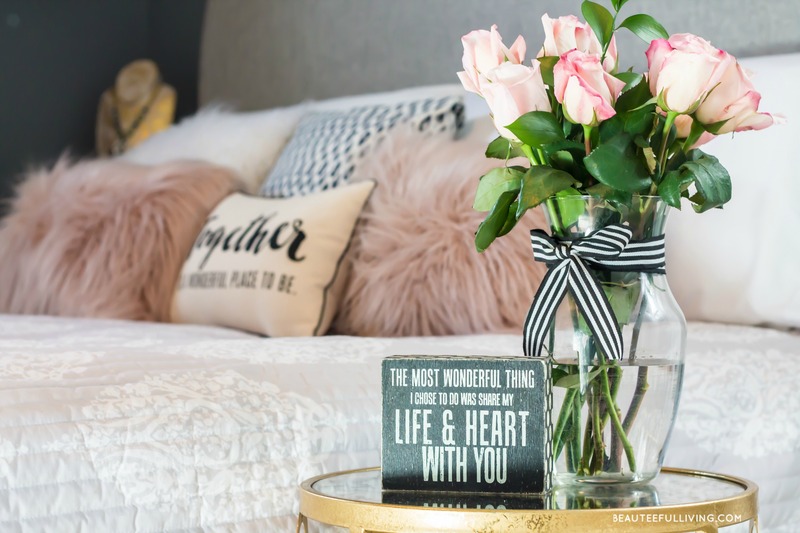 Love your side table by the way! I like your trick! Yes, it’s so nice to free up room in the closet. Since I don’t buy any clothes, I don’t run the risk of buying the same thing again. But I am always down for purging things. Great read! My closet is in need of a good cleaning right now. After the last time I moved I have managed to do a really good job of keeping the closet organized. I don’t like clutter. Okay. Okay. I’ll do it! 🙂 You’re sooo right. I have about 30 pairs of black pants that I think might come back in style one day so they are wasting space. I need a good purge for my sanity! Wow, 30 pairs of black pants! I thought I had a lot back then. Yes, you could afford to donate a few pairs :). Thanks for commenting. My closet needs a major overhaul! It is on my to-do list….. I have a few more closets to go through as well. Good luck!